With inorigo 4.8, time consuming integrations become a thing of the past. 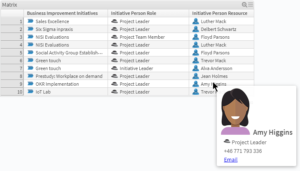 With the new Data Source Editor tool, you can set up data integrations in minutes. 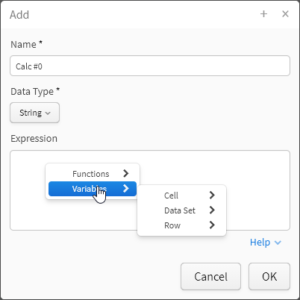 Let inorigo guide you through the setup wizard and you will be able to tailor integrations from CSV, Excel Files, HTML Tables, SQL Servers and XML sources. Once established, a data source is available for use throughout the instance. 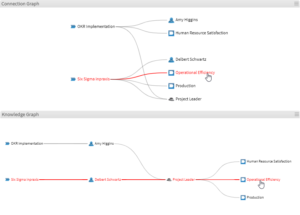 The complexity in the model is separated from the application. Applications become faster and easier to build. Application memory footprint is reduced. 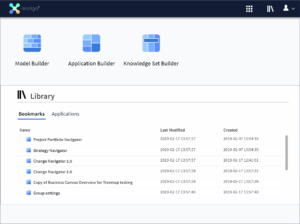 With this release the Workbench has granted a complete revamp that features a new layout, improved navigation and several new functionalities. A new improved library houses your bookmarks and your frequent and recent Applications. New font to match the workbench layout implemented for both the Workbench and Applications. 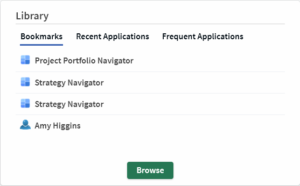 Set a sort order in Application Builder and save the Application. The application is now loaded with the given default sort order. New transaction method Consult the API documentation for additional information. A new method primitive that transforms JSON to an XML string has been introduced. New expressionist function $HTML_ENCODE for encoding text to be properly output on the web, useful for presenting raw XML on a page. Observe that this release only contains a few of the many planned functionalities for the Knowledge Graph. This beta release enables users to set the order in which filter components should appear in the Knowledge Graph, irrespective of the order the Filter Components were created. It is also able to display content from Filter Components that derives from a Knowledge Set. The Knowledge Graph is based off a table generated from the included filter components, which enables it to more accurately display relations and connections than the Connection Graph is able to. 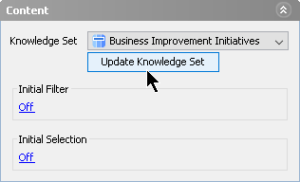 Knowledge Sets that has been loaded in an Application can now be updated in Application Builder to reload the metadata from the Knowledge Set. 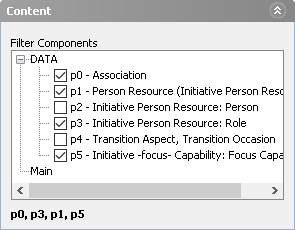 If changes are made to the order of the columns in the Knowledge Set, the Filter Components linked from the Knowledge Set can be updated to read the data from the right column. 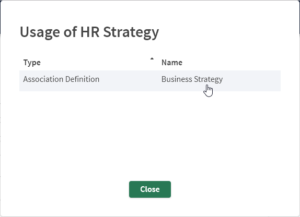 By double-clicking in a cell to select it, users are able to right-click and choose Copy. For cells that contains inorigo units, users may choose to Copy their given presentations or their ID’s. 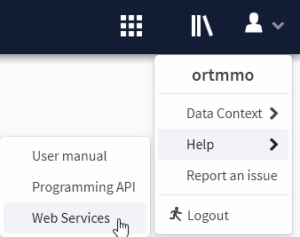 Items in the help menu have been given new names for clarification purposes and a link to the documentation for the Web Services API, previously found under /services has been added. When changes are applied to a Data Source that is in use, users now receive a warning. When setting a GET/POST method for a URL based Data Source, the desired method is now set with radio buttons. The Next button is now named finish when the last step is reached in a Data Source Configuration. Tooltips have been added to display names that exceed the width combo-boxes in Queries and Knowledge Sets. This menu improves and centralizes system management and handling of system management user and hosts & access rights. More information in the System Administrators documentation. Excel sheets are displayed and scaled correctly with no manual adjustments required. Images are scaled to fit the dialog. Scaling is updated when the dialog is resized. Vaadin, the platform used for some web components and developments has been upgraded from version 8.2.1 to 8.7.0, resulting in better grids and improved context menus. Entry panels have been updated to match the new interface in the inorigo workbench. If a user does not have the right to run an application, knowledge set, data source or connection (i.e. Read = false) it will not be visible in the Library in the Workbench (as an application it is not visible in the Application Builder). A new expression, $DISTINCTBYCOLUMNS has been introduced. Use it to extract first or last occurrence of dataset rows based on given columns. The function add whole rows to the the resulting dataset. This function is similar to $DISTINCT, but it only works on Datasets and the result contains all columns rather than just the distinct columns. Notice! This only applies to the internal Dataset definition which may be returned using the Application Runtime Service. The Knowledge Set Service exposes a public definition of Dataset and therefor remains unaffected of this change. The JSON property “row” in com.inorigo.global.dataset.DataSet has been replaced by “rows“. The JSON property “column” in com.inorigo.global.dataset.DataSetMeta has been replaced by “columns“. A shortcut has been added to easily find the Web Services documentation. “iconUrl” : “string” Contains the actual entity icon (output only). Swagger now display more accurate examples and models. XML now adheres to the JSR-222, all hard type names has been removed. The “kind” property has been removed in responses where the result can contain only one kind of object. All properties of type EntityDTO are now of type EntityID. Impact is that “kind” is no longer returned, only “dataType” and “id”. 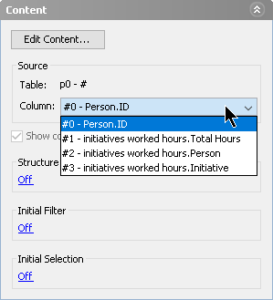 4.8.1 CPFPDT-3813 Selecting the extra attribute (which user manually can add) by default when selecting all columns.